In the summer of 1896, amateur sleuth Emily Cabot meets two young Chinese women who have recently received medical degrees. She is inspired to make an important decision about her own life when she learns about the difficult choices they have made in order to pursue their careers. When one of the women is accused of poisoning a Chinese herbalist, Emily once again finds herself in the midst of a murder investigation. But, before the case can be solved, she must first settle a serious quarrel with her husband, help quell a political uprising, and overcome threats against her family. Timeless issues, such as restrictions on immigration, the conflict between Western and Eastern medicine, and women's struggle to balance family and work, are woven seamlessly throughout this riveting historical mystery. 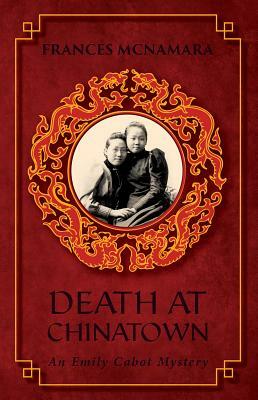 Rich with fascinating details of life in Chicago's original Chinatown, this fifth book in the Emily Cabot Mysteries series will continue to delight history buffs and mystery lovers alike.